← ooh la la……Paris anyone? We all love jalapeno poppers, right? Those spicy chili peppers stuffed with oozy goozy cheese? I love em! The spicier the better. 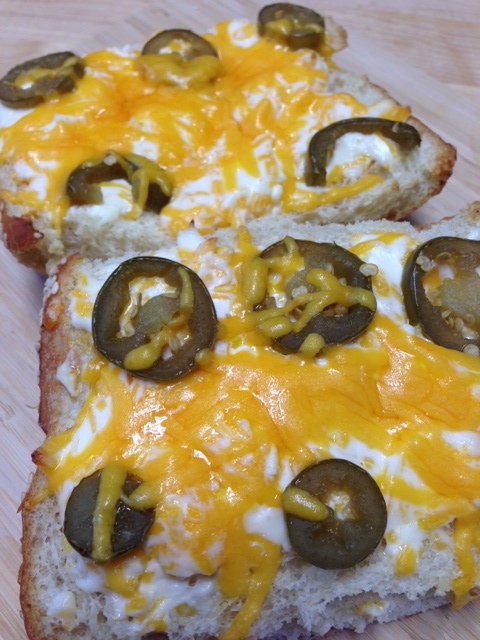 Well, if you like those and you like bread, you will love this Jalapeno Popper Bread. Wow……its good. I mean, really good. 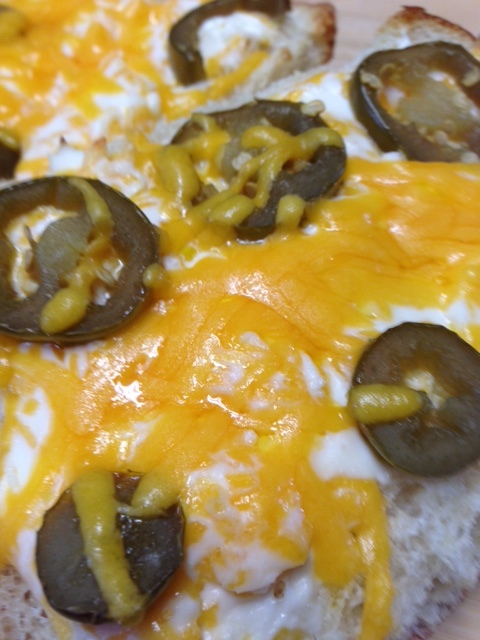 Crispy, crusty bread with the melty cream cheese cheddar cheese combo and those spicy rings of jalapeno. M-m-m-m-m-m-m. This stuff is dangerous. It could be addicting. I will have to limit myself on this stuff. Maybe like one small piece every couple of months. Hmmmm, or maybe just when I have guests. I can think of quite a few of my friends who would LOVE this. 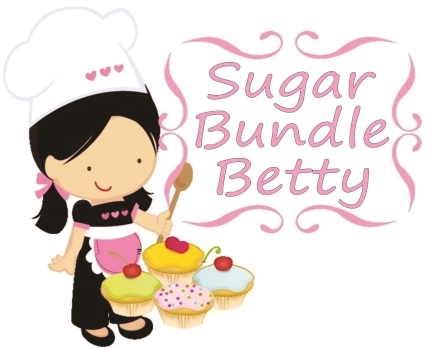 You gotta try this……..like soon! Heat oven to 400 degrees. Cut bread loaf in half. Mix together the soft cream cheese with most of the cheddar cheese and garlic. Spread the mixture on the bread. Sprinkle with the remaining cheddar cheese. Top with jalapeno slices. Place bread on a baking sheet and pop it into the oven. Bake just until the cheese is all melty. M-m-m-mmmmm, that first crunchy bite will have you just shoving this bread into your face. hahahaah, you so silly. you didn’t make your most awesome mac n cheese? how come I wasn’t invited. you know how much I love fried chicken.